· Handling and helping Relationship Managers to reach their target. · Educating associates about the company and giving services to the them. · Taking escalations of Relationship Managers and make sure they have achieved their minimum talk time on a regular basis. · Evaluating performance of employees and ensuring proper appraisal is given to them. · Motivating employees and recognizing them. · Improving knowledge of Relationship Managers by providing them with handouts, social media alerts & classroom training. · Ensuring revenue is generated on a daily basis. · Retention rate of associates. · Reduction in attrition rate. Should know Android UI mobile application Development with atleast one year experience. Should have worked for atleast one mobile application. Should have knowledge in requirement gathering. We are looking for a Content Writer to join our Digital marketing team and enrich our websites with new blog posts, guides and marketing copy. Responsibilities include conducting thorough research on industry-related topics, generating ideas for new content types and proofreading articles before publication. To be familiar with producing online content and have an eye for detail. Ultimately, you will deliver quality writing pieces that appeal to our audiences, attract customers and boost brand awareness. Responsibilities. Should have knowledge in finance. Work experience as a content writer. Recommends and participates in activities related to the design, development and maintenance of the Enterprise Database Architecture. Assure Database solutions for their business provide an exceptional user experience, while being compliant and cyber-safe. Shares best practices, lessons learned and constantly updates the Database architecture requirements based on changing technologies, and knowledge related to recent, current and upcoming vendor products and solutions. Provides database structural requirements by analyzing the current and future business as well as growth and expansion model. Incorporate optimum access techniques; storage and retrieval process including optimization of nested queries and CPU load balance. 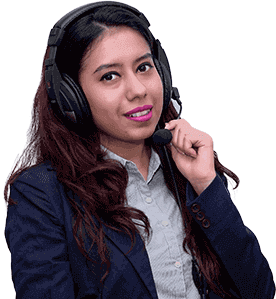 To Monitor the Call Quality of the account managers on regular basis and send the report to manager after evaluating their performance which will help managers to identify problems and resolve it. Coach the account Manager on the performance parameters with constructive feedbacks and help them improve in terms of revenue generation. Evaluate Account Managers performance and improve customer service. Maintain quality standards & Improve the customer experience. Enhance the quality of the service. · Helping with training and development with vendor’s team. · Daily coordinating with vendor’s team to achieve the required targets. · Motivating the vendor’s team to achieve high standards and KPI targets. · Mentoring and training up new joiners and new staff. · Visiting vendors place to address the issues, if needed. · Arranging & chairing weekly team meetings with vendors’, focusing on targets & achievements. Implementing new initiatives. · Ensuring all administrative and Apps information are entered and updated correctly. Providing prompt and accurate information on individual performance. 6. Ability to direct and supervise. 7. He /She should have 3 – 4 years of experience in the area of finance or accounts. We are hiring freshers for various openings in our organization. Job Description : Create job descriptions. Effective oral and written communication skil. One to two years of human resources experience required; one year corporate recruiting experience preferred. The legal advisor is accountable for taking the day to day legal responsibilities and providing legal advice that includes all the aspects of the analysis, investigation and drafting process. He/she is responsible for providing support in discrete legal issues by advising the organization, drafting undertakings and structuring remedies for the relevant issues. 1. To conduct legal analysis and research on various legal matters of the organization. Review expenses and recommend economies. Immediate requirement for experienced PHP Developer with expertise in Code igniter Framework. We are looking for a Software developer who will be a part of a creative team that is responsible for all aspects of the ongoing software development from the initial specification, through to developing, testing and launching. Must have at-least 2 - 5 years working experience. Should have good experience in OOPS and Code igniter Framework. Good Work experience in MySQL database and query, knowledge of Mongo DB (Advantage). Web service integration like JSON. REST API, XML, SOAP etc. Work experience in Payment Gateway integration. Knowledge of version control tools (GIT). Ability to work in as solo as well as in a team environment to complete projects on time. Solve complicated problems with efficient solutions through coding and analysis. Advising and selling term and health insurance to interested customers by understanding the customer’s needs in particular and their ability to pay. Analyzing and understand customer’s current insurance policies and suggest them with best available plans. Keep a track and check on the ongoing transactions with the customers. Solving day-to-day issues of customers with respect to their policies to maintain a strong and healthy relationship with them. To generate the desire for our product in the Customer’s mind by making them understand the value proposition. Successfully create, develop and retain relationships with customers through understanding their needs and explaining the benefits of the policies. Doing proper follow-up with the prospective customers and simultaneously converting them into sales. RM’s should generate a good pipeline for themselves over a period of time so that it helps them in achieving their daily targets. Reaching out to maximum prospective customers from the base assigned and explaining them the insurance plans by providing them with proper presentation on call and simultaneously generating sales and achieving their daily numbers. To constantly upgrade with changes, to ensure you provide the most up-to-date product information to the customers. 1. Candidates with IRDA certification is highly recommended. 2. Candidates with a minimum 1 year Insurance sales experience in online selling/ in-house sales of term plans and health insurance will be preferred. 3. Insurance agents with part time or full time experience selling different kinds of insurance products can be preferred. 4. Candidates should have 1 year telesales or online insurance sales experience. 5. Language proficiency in English and minimum two regional languages is mandatory. 6. Candidates from Digital Banking domain are highly recommended. We are looking for an expert in SEO who will work on bringing the ranking to page 1 of various search engines, one who can increase the brands visibility thereby, increasing traffic, leads & subsequent conversions, organically. Should be capable of Managing the website - content, pages, performance, monitor and correct non-functional links/ errors. Should be capable to implement the latest ethical SEO strategies - On-page and Off-page to improve website performance, ranking, and lead funnel at a global level. Review SEO site elements such as Google Analytics, Webmaster Tools, Sitemaps, etc. and perform on page SEO site optimization including metadata, tags, content body, header, title, etc. Develop lists of potential keywords/phrases by understanding the marketplace, using keyword research tools. Analyze and understand web analytics dashboards and draw inferences which help attain the business goals. For this role, we are looking for a candidate, with the right combination of competencies and zeal to learn and grow. Minimum 2 years of experience in SEO (Search Engine Optimization) is mandatory. Must be Proficient in SEO tactics to improve website performance and achieve organic marketing goals. Updated knowledge and hands-on experience with channel interfaces such as LinkedIn Ads, Facebook Ads, YouTube Video Advertising, Google AdWords, and Twitter Advertising. Strong analytical skills and data-driven thinking with an expert understanding of Marketing Analytics tools like Google Analytics is a must. Familiar with latest link building strategies using ethical SEO techniques. Working knowledge of SEO, website development, design, user experience. Intellectual curiosity and eagerness to innovate and implement new ideas. Able to work effectively in a multi-tasking environment. Proficiency in PowerPoint and MS Excel. Self-starter, creative mind, problem solver approach. 1. Secure new and sustainable partnership alliance across insurance industry including contacting top leaders through personal networking and secure appointments. 2. Developing proposals, making presentations and negotiating business deal points to contract completion. 6. Produce high-quality leads through constant engagements. To help both IMC and partners to generate revenue. 7. Enagage and encourage intra- departmental discussions accross decision making process. · Good Communication skills in English and familiar with regional languages. · Forward planning and strategic thinking. · Strong network of people in the domain. • Minimum 6-7 years of experience into Strategic business planning preferred from the insurance industry.